Eddie Mesa and his Eigenmann Family. 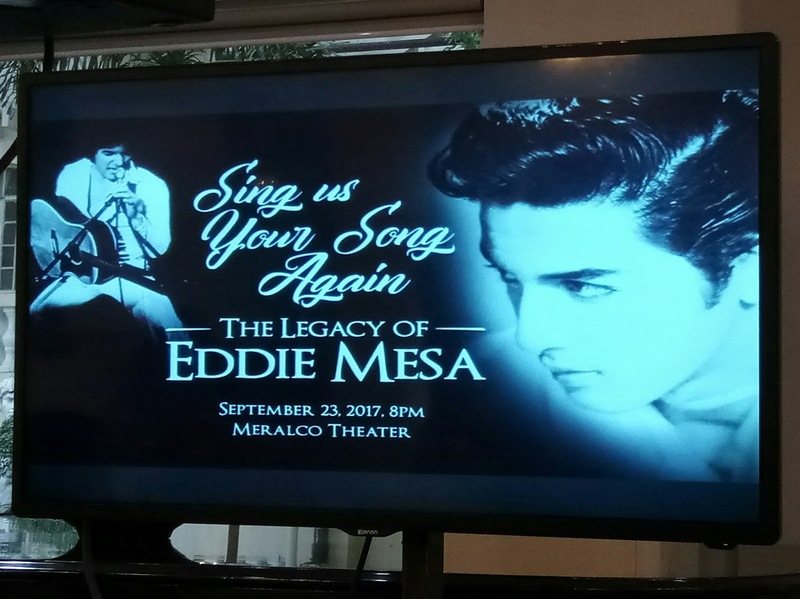 Eddie Mesa, a retired actor, who played Angel Zabala in Eddie Romero's Hollywood film " The Raiders Of Leyte Gulf " and a well-loved singer, dubbed and tagged as The Elvis Presley Of The Philippines, is showcasing his musicality as he, "Sing Us Your Song Again " a night of rock and roll concert slated on September 23, 2017 at the Meralco Theater. Now a pastor, born Eduardo de Mesa Eigenmann in real life in 1938, is a former matinee idol who acted alongside with Susan Roces, Fernando Poe Jr., Helen Gamboa Sotto, among others, is married to Maria Rosa Francisca Catalina " Rosemarie " Gil y Castellvi de Eigenmann, a retired Filipina actress better known as Rosemarie Gil, his screen partner. 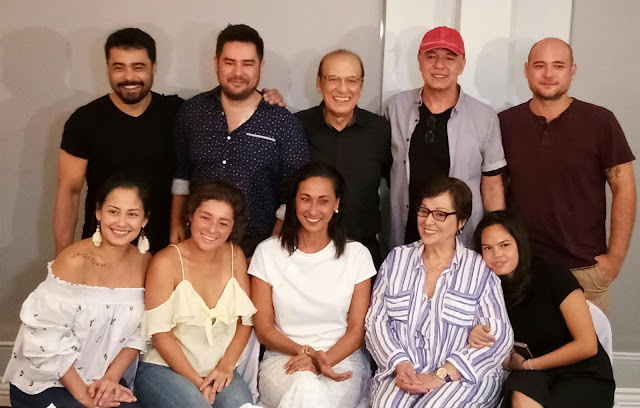 Married in 1961, the screen couple were blessed with three talented and multi awarded children: Michael Edward (Michael de Mesa), Raphael Joseph (Mark Gil) and Evangeline Rose (Cherie Gil). The beautiful and lovely couple has 13 grandchildren whom we regularly see in both film and television either on a protagonist and antagonist characters. The music and legacy is #EddieMesaTribute to his #EiganFam and will be a reminiscing moment of his life and career for forty years. Appearing on the one night only concert are Pilita Corales, Christopher de Leon, Edgar Mortiz, Tirso Cruz III, Ciara Sotto and Hotlegs. Not to be missed of course is the participation of the whole clan of #EiganFam. The star studded celebration will be directed by Bert de Leon and musical direction by Mel Villena. This mark the third show produced by MyOwnMann Productions, Inc., a production company owned by the #EiganFam. Presented by St. Francis Square, Caliraya Resorts, PowerMac, McCormick, JT's Manukan, Make-up Forever, Jing Monis Salon, Freeway, SIP, Hoseki Jewelry Shop, Figlia and ABS-CBN as the official media partner.